If you are at retirement age, and have the ability to travel internationally, there are great short-term volunteer assignments internationally. Short-term assignments are a great way to gain experience in international service and determine if volunteering abroad is something you would like to pursue on a longer term basis. When choosing a particular volunteer program, it’s best to choose one in which you can offer your experience or one which will allow you to do what you are passionate about. This will not only serve the country you are relocating to better but also allow you to enjoy the experience the most. Think about how you would like to volunteer: Are you interested in helping politically, educationally, medically? There are also many faith-based international volunteer opportunities. Carefully examine the program and history of placement organization. The key is to work with an organization that has a track record and is well-organized. Check to see if the international program works with any domestic volunteer programs and research their track record. Talk with former volunteers in your age bracket who have associated with the organization that you are considering and make a list of your questions and concerns, and then pick up the phone and call. Speaking with someone who has actually participated in the volunteer program is invaluable as you will get a really good idea of the positives and the negatives. Find out what resources are already there and what would be helpful to bring. There is a bit of preparation necessary to volunteer internationally. You will need to make arrangements for your mail and paying your bills. There are quite a few on line mail services out there, such as Earth Mail, that will collect your mail and allow you to view it online. You can then decide to shred it, save it or forward it. A lot of bills can be paid on line these days through your bank’s bill pay service. You will want to post pone your newspaper delivery and make arrangements for someone to check on your home. If you have a pet, make arrangements for someone to care for them as well. A major consideration for prospective volunteers of any age is health. Not just one’s current health but potential health risks on an assignment and the availability and quality of health care at the site of one’s program. 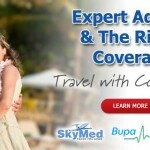 Purchase medical travel insurance that will cover any major illness or accident abroad. 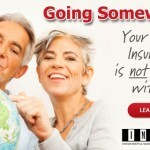 If you are currently on Medicare, you do have up to $50,000.00 worth of coverage, for up to 60 days. If you think you may need more coverage than that, you should purchase a higher limit medical travel policy, which can go as high as $2,000,000.00, and offers emergency evacuation services. Before you leave, make a visit to your domestic doctor to get a thorough check-up and evaluation. Discuss your travel plans and destination with your doctor so that he can recommend necessary vaccines. Many volunteer organizations will require a pre-assignment health examination. Health care availability in the international destination is a good question to bring up when you are interviewing past volunteers. The organization you choose you should also have this information. International medical travel insurance through IMG provides a Medical Concierge service as well that can help locate participating doctors and hospitals.